A few years ago Steve Barnes was visiting Hawaii to give a talk on his work on campus here at UH. 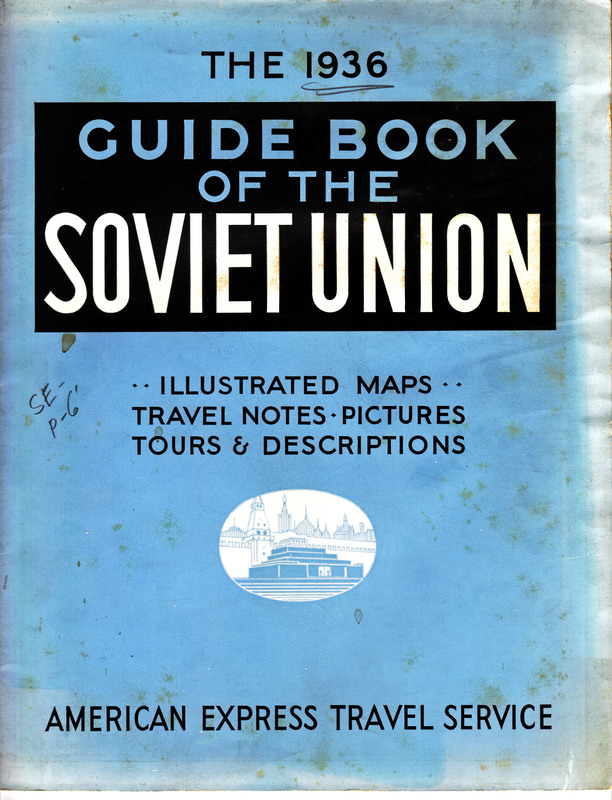 He spent a bit of time at our Library, and came across an unusual find in our special collections, the American Express Travel Service’s 1936 Guide Book of the Soviet Union. It is included in the material we call The Social Movements Collection, which does contain a lot of Soviet material. 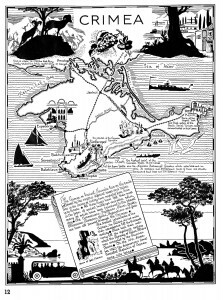 American Express offered four different tours of the Soviet Union: “A Tour of Great Soviet Cities” that went from Leningrad to Moscow to Kiev, and then returned to the West via Warsaw; “The Crimea Tour” that went from Moscow to Kharkov to Sevastopol, Yalta, and Odessa; “The Volga River Tour” that left Moscow for Gorky, Kazan, Kuibishev, Saratov, Stalingrad, Rostov, and then a train to Kharkov, Kiev, and Warsaw; and “The Caucasus-Black Sea Tour” that took a train down the Volga to ultimately reach Ordzhonikidze, Tiflis, and then depart onto the Black Sea from Batum. What were the highlights of these tours? This is where I find the text most interesting. 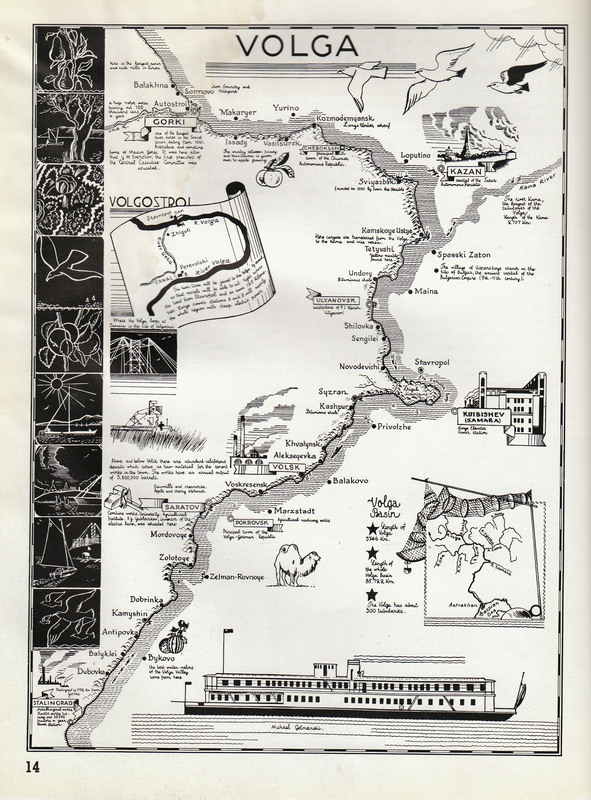 The Volga Tour, “The River of Romance,” demonstrates the attraction of “yesterday and today and tomorrow.” Gorky was “once the site of the historic fair to which merchants from all Europe brought their wares. Today in Gorky a gigantic automobile plant is rated to turn out 400 cars a day.” Volgostroy was set to become the site for a “great power station” during the Third Five Year Plan, to exploit the potential of “a huge dam to check the waters of the Volga at Stavropol.” Stalingrad, reached on the fifth day of the tour, “is known for its colossal tractor factory, the largest in the world.” While the excitement of hydroelectric dams and colossal factories may be lost to modern audiences, apparently in 1936 someone thought it held broad appeal. 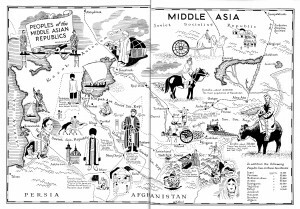 Perhaps surprisingly, alongside the strong support of Soviet industrial projects lurks a persistent Orientalism throughout the text. The map of Crimea mentions the impact of “The Cimmerians, Scythians, Tauri, Greeks, Kharares, Romans, Goths, Byzantines” had left on the landscape. 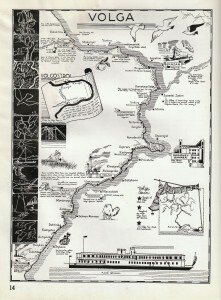 Camels roamed the Volga River. The people of the Caucasus appeared in “traditional” clothes, standing in front of palm trees and bountiful melons. 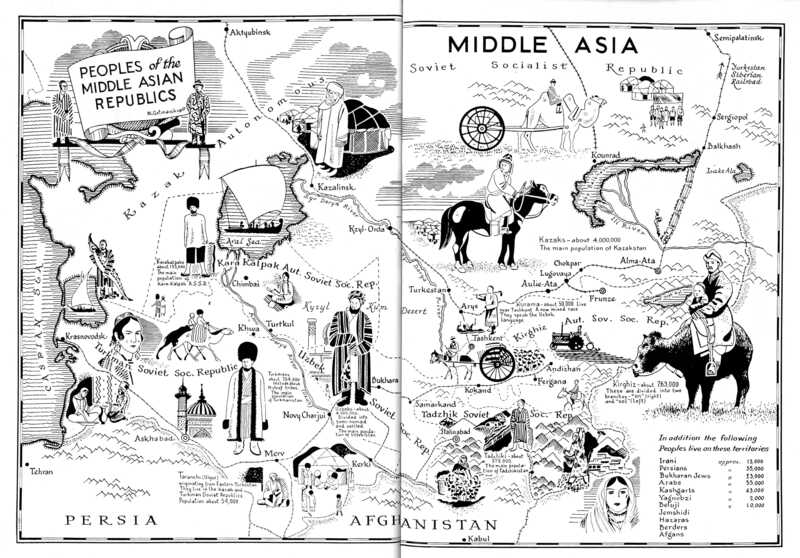 Most confusing in the map of “Middle Asia,” which was not a tour, but included for information purposes. As an artifact, the brochure is entertaining, but it also raises numerous questions. 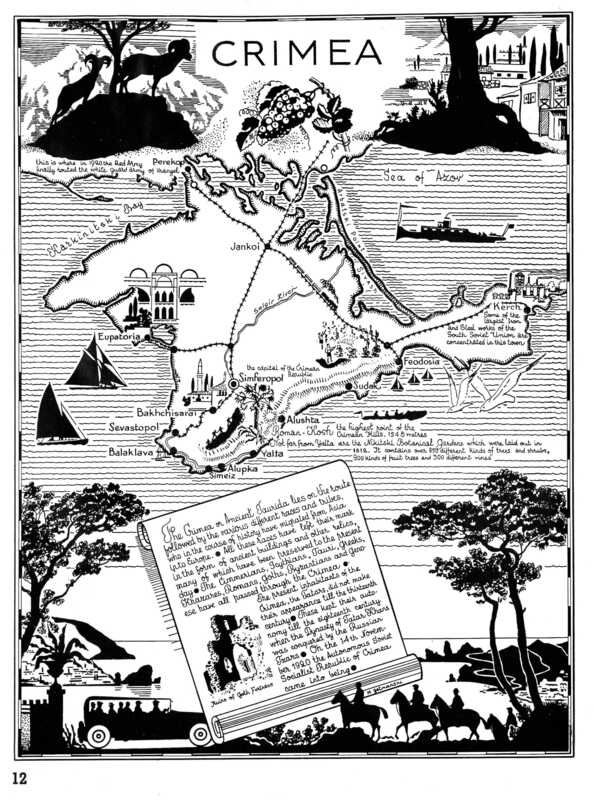 Aside from wondering who might have traveled on vacation to the Soviet Union in 1936, I still wonder if it was even possible. 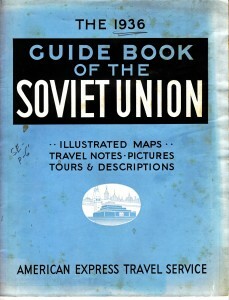 Who could afford a Soviet tour during the Depression from the United States? Tour packages range between $573 and $649 (1936 dollars), which is the equivalent of 9,500-11,000 current dollars. I wonder, even if I could have afforded this trip, would the possibility of visiting the world’s largest tractor factory have made me get on a boat? Maybe not. This entry was posted in Russian History in Popular Culture, Soviet Era 1917-1991, Stalinism, Teaching Russian History. Bookmark the permalink.